OMEGA Hi-Torque Fastener Replacement Dovetail Wheel are designed to fit OMEGA Dovetail Hi-Torque Recess Fasteners. OMEGA Dovetail Slot Recess Hi-Torque Driver, or commonly known as a ''Pizza Cutter'' features replaceable blades and will usually fit standard size thread heads and reduced head style Hi-Torque® Recess Fasteners. OMEGA Replacement Dovetail blade or wheel designed to fit No 2 Hi-Torque Recess Fasteners. .370 diameter, for HT3202M Hi-Torque Fastener Drivers. OMEGA Replacement Dovetail blade wheel, designed to fit No 3 Hi-Torque Recess Fasteners. .552 diameter, for HT3203M and HT4403M Hi-Torque Fastener Drivers. OMEGA Replacement Dovetail blade or wheel designed to fit No 4 Hi-Torque Recess Fasteners. .864 diameter, for HT3304M and HT4404M Hi-Torque Fastener Drivers. OMEGA Replacement Dovetail blade or wheel designed to fit No 5 Hi-Torque Recess Fasteners. 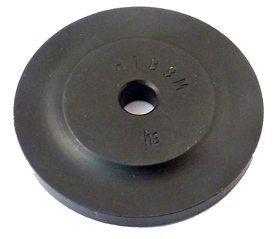 .990 diameter, for HT3305M Hi-Torque Fastener Drivers. OMEGA Replacement Dovetail blade or wheel designed to fit No 6 Hi-Torque Recess Fasteners. 1.240 diameter, for HT3306M and HT3406M Hi-Torque Fastener Drivers. OMEGA Replacement Dovetail blade or wheel designed to fit No 7 Hi-Torque Recess Fasteners. 1.375 diameter, for HT3407M Hi-Torque Fastener Drivers. OMEGA Replacement Dovetail blade or wheel designed to fit No 8 Hi-Torque Recess Fasteners. 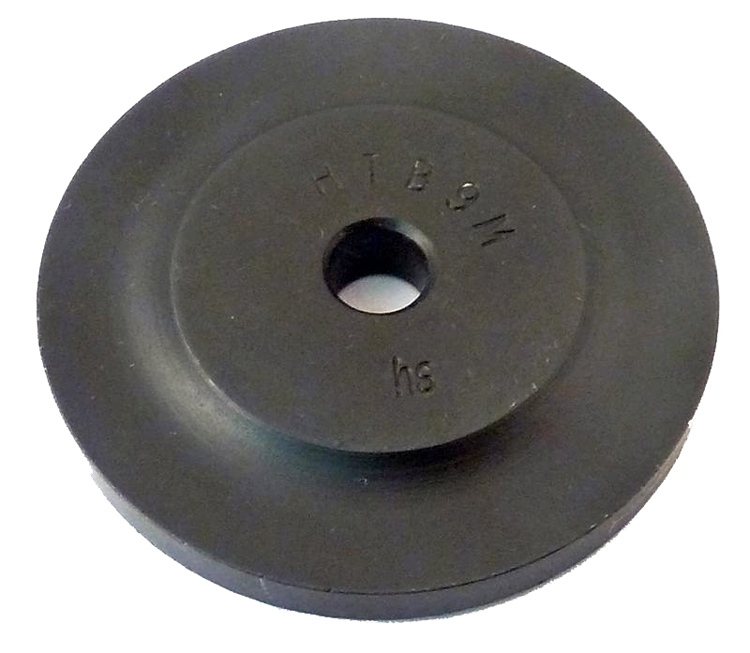 1.500 diameter, for HT3408M Hi-Torque Fastener Drivers. OMEGA Replacement Dovetail blade or wheel designed to fit No 9 Hi-Torque Recess Fasteners. 1.750 diameter, for HT3409M Hi-Torque Fastener Drivers. The OMEGA HTB9M #9 Hi-Torque Fastener Replacement Dovetail Wheel is one of thousands of quality tooling products available from MRO Tools. Please browse Hi-Torque Bits, Drivers, Replacement Wheels for tools similar to the OMEGA HTB9M #9 Hi-Torque Fastener Replacement Dovetail Wheel. OMEGA HTB9M #9 Hi-Torque Fastener Replacement Dovetail Wheel description summary: OMEGA Replacement Dovetail blade or wheel designed to fit No 9 Hi-Torque Recess Fasteners. 1.750 diameter, for HT3409M Hi-Torque Fastener Drivers. Quantity discounts may be available for the OMEGA HTB9M #9 Hi-Torque Fastener Replacement Dovetail Wheel. Please contact MRO Tools for details.